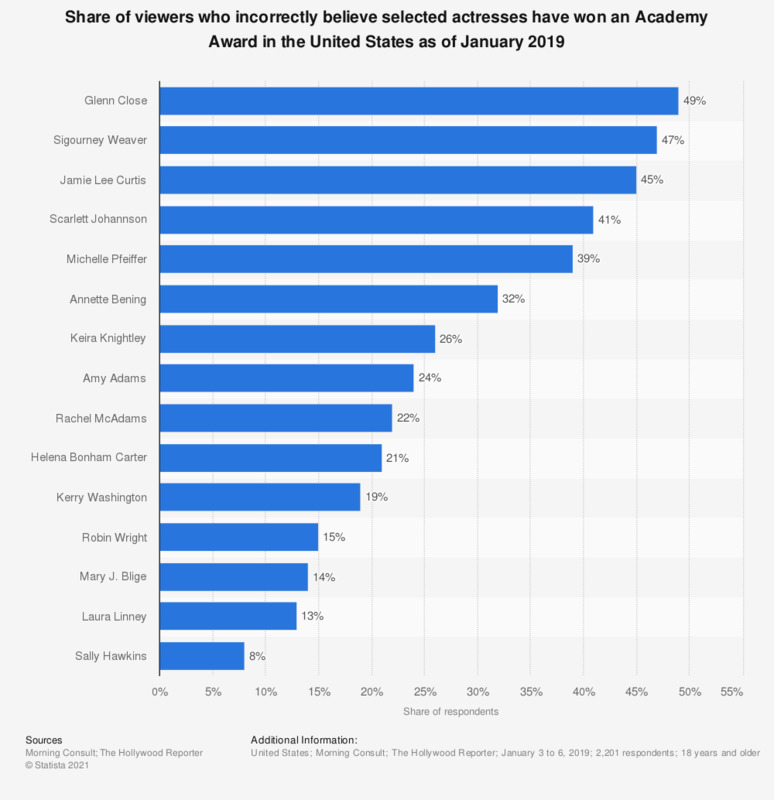 The statistic presents information on the share of viewers who incorrectly believe selected actresses have won an Academy Award in the United States as of January 2019. During a survey, 47 percent of respondents incorrectly believed that Sigourney Weaver had won an Oscar for acting. She was nominated for three acting awards in the 1980s, twice for Best Actress and once for Best Supporting Actress. In 1988, she was nominated for Best Actress for "Gorillas in the Mist" and for Best Supporting Actress for "Working Girl". This question was phrased by the source as follows: "To the best of your knowledge, which of the following actors have ever won an Academy Award (Oscar) for Best Actress or Best Supporting Actress?"